Choose life? Why not, “follow my laws to the letter, or else you will be punished?” Why not, “you have no choice but to do as I say,” because God is, after all, God? Why is choice so important? Because the truth is, we all have choices in life: where we live, with whom we develop relationships, where to work and yes, where to belong spiritually. Especially here in Central Jersey, where opportunities to find a spiritual home are plentiful, why choose TRT? We have opportunities to learn: in the classroom, in services, in serving the community, for people of all ages, two to 92. We have clergy and staff who want to be challenged, respectfully; everyone agreeing with one another all the time makes for boring lives and boring programs. On this, we can agree. 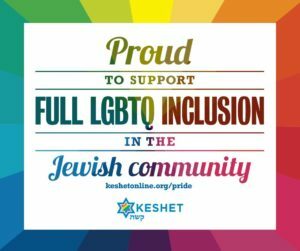 We have a school which encourages you and your children to find the best fit for learning Judaism: a once-a-week program to cover the basics and an exciting opportunity for grades 5-7 to enrich the experience of being Jewish, tasting Jewish, hearing Jewish, praying Jewish, being joyfully Jewish, being ethically Jewish. A full list of the Monday Enrichment Day choices are listed below and posted with explanation on our website. Our teachers and staff have worked hard to provide our members with “best practices” in Jewish education, a term taken from the business world. But I really like the phrase, because “best practices” implies exploring many different avenues to achieve excellence. Doing so means thinking out of the box, means being flexible (“…but we’ve always done it THIS way…” doesn’t make it right) as well as making good choices. Because really, it’s all about choice. How much do we want to impart to our kids and grandkids? How much do we want and have the time to participate in what the temple has to offer? What choices do we want to make, at this time of the New Year when we are asked to review our past, and make changes to create a different, brighter future? We’re the Chosen people; maybe also the Choosing Ones as well? Let’s explore all the choices together.